The Lavington Security company has come under heavy fire from their clients in one of the gated estates in Nairobi, for what is termed as ‘sleeping on the job’. In a letter written to the Consumer Federation of Kenya (COFEK, the estate residents recount an event in June this year when thieves broke into the compound and stole electronics from several houses. This happened while the guards were deep asleep and never heard anything. “I live in a small gated community comprising on 38 houses (19 on each side) each having a small back yard facing the perimeter wall of the estate. We have a main gate leading into the estate manned by 2 guards whose work is to guard the gate and patrol the neighborhood. On the morning of 16th June 2014 at between midnight and 4am, thieves broke through (they pulled down two rows of stone right beneath a live electric fence) the perimeter wall and gained entry into the estate. They then broke into my house by cutting through the metallic grill and stole all electronics in the living room and any other valuables they could get their hands on. They also gained entry into my next door neighbors’ house and also cleared all electronics from their living room. On realizing that thugs had already gained entry into the houses we sounded the alarm though a bit too late as the thugs were already long gone. On coming out of the house to inform the neighbors the reason for the alarm, we realized that the 2 guards were nowhere in sight. My neighbor and I went over to the gate to find out where the guards were and to our dismay we found one tacked away in deep slumber at their station and the other walking frantically towards us probably after sensing that something was wrong. We briefed both on what had happened who then claimed that they did not hear the wall being broken into only 3 houses from the gate (clearly because they were dead asleep). That evening, we held a neighborhood meeting comprising of the tenants, the guards present on the night of the robbery and their supervisor to understand their roles leading to the robbery. 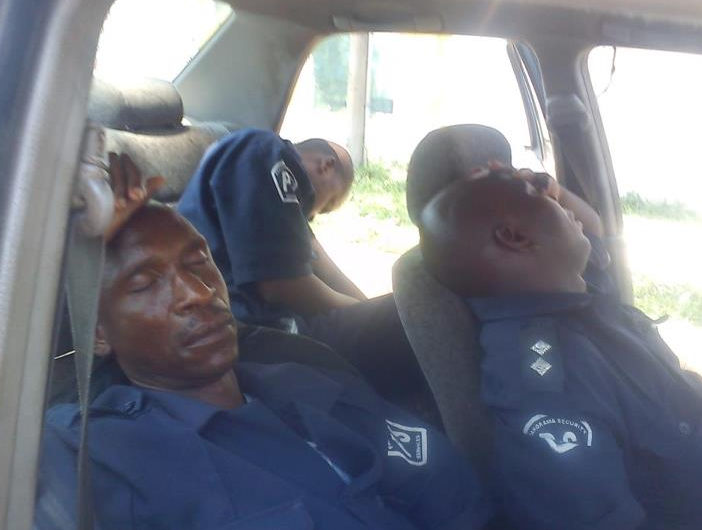 On querying the guards and their supervisor, they confirmed that one was asleep for a good part of the morning while the other who claimed that he was not asleep confirmed that he had worked for 3 days consecutively meaning he had done 5 shifts of both morning and evening. This was all confirmed by their supervisor present during the meeting. Please note that even after the robbery the same guards were on duty. To cut the long story short, we approached our then Security Provider, Lavington Security to request compensation for all the items stolen as we felt that it was purely an act of negligence on their end that their guards were asleep at the time of the robbery and had even been overworked the days leading to the robbery. Kindly note that it is clearly stated in the contract that in cases of proven negligence on the part of the security company, they are required to compensate all the clients for all losses incurred. 2. L 2. Lavington Security also admitted to one of the guards being asleep and the other having worked for 3 days consecutively. Until this day, almost 3 months later, Lavingon Security has refused to take responsibility for the robbery saying that if the guards did not perform their duties the company was not to be held liable but instead we should have held the individual guards liable. In law, all Security companies must be insured so as in situations such as these where they are held liable, they can compensate their clients. We are appalled by the way Lavington Security has handled this issue and are out to ensure that this story is out there so as to sensitize Kenyans looking to make a decision on Security Providers. In my personal view, security is necessary for all human and their assets and do you need a guidance and advice regarding security guard training and license. Get it from security guard pedia, we will provide complete guidance on how to obtain the Wisconsin Security Guard License.